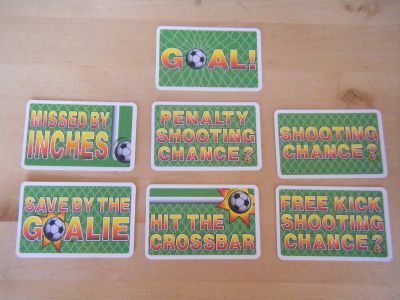 A simple card game that uses the same 'colour in' idea as Bryplay Cup Football. Build two football teams and use the cards to determine who wins. Have fun colouring in your favourite players and kits too! 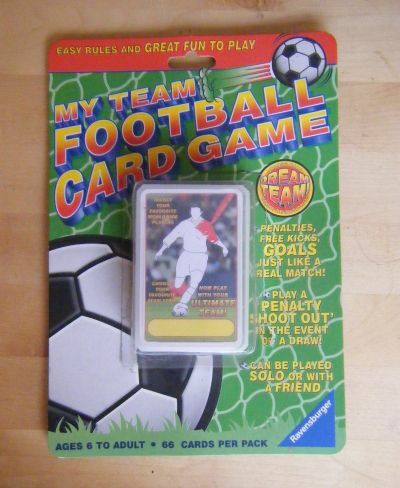 Simple card backed blister pack containing one pack of cards in a holder. 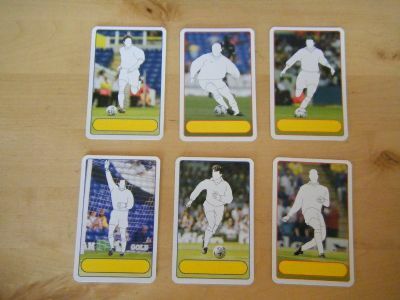 The cards are a mix of action cards and colour in player cards. 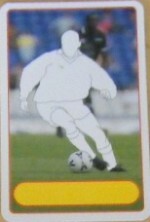 The player cards are nicely produced and would look great if well coloured in.